Catherine “Cat” Tyree has had a love for horses for as long as she can remember. Originally from the Chicago area, she has competed for the U.S. in FEI competitions both here and in Europe. She had a successful 2017 with highlight wins in the 1.45m CSI5* Ranking class in Dinard, France aboard Bokai and in the $35,000 Suncast Welcome CSI2* in Tryon, N.C. Tyree also dominated at the Washington International Horse Show, winning the $10,000 International Jumper Speed class with Bokai, then claimed third place in the $130,000 Longines FEI World Cup Jumping Qualifier aboard Enjoy Louis. The USET Foundation awarded her the prestigious Maxine Beard Award in 2017. The award is presented annually to young riders who show great potential to represent the U.S. in Nations Cup competitions and international championships. Tyree has been competing in Wellington since 2004. 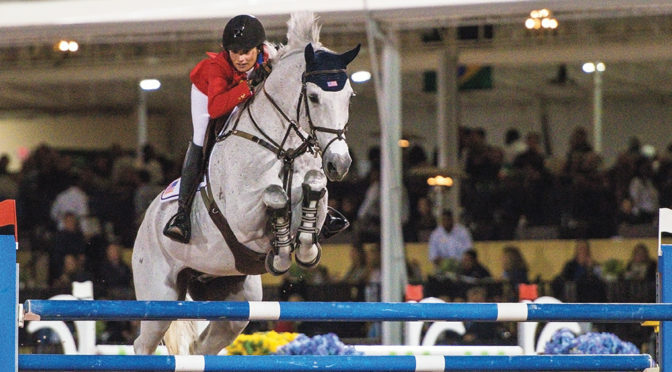 She represented Team USA in the $150,000 Nations Cup CSIO4* in 2017 and took fifth in the $35,000 Douglas Elliman 1.45m CSI5* at the end of the 2018 season. Also in 2018, she sailed to victory in the $36,000 McKee Family International Challenge at the CSI4*-W Royal Horse Show in Toronto.